We’ve seen such a change in family travel in recent years with families looking for a much more inclusive experience away from traditional holiday of dropping the kids with the hotel “kids club” and taking advantage of this for some quiet time. Our family tent, launched in 2015, received a fantastic reception in the market place and we’ve had the privilege to host many families with kids from 18 months to 80 years old. We’ve also seen a large increase in multi-generational travel with everyone from toddlers to grandparents sharing the wonder of the bush together. This is a wonderful opportunity for all the family to share an adventure while having all their diverse interests and wishes catered for. Different families have different requirements and, with the flexibility that has become the hallmark of Safari & Guide Services, all ages and generations can take advantage of everything the bush has to offer. 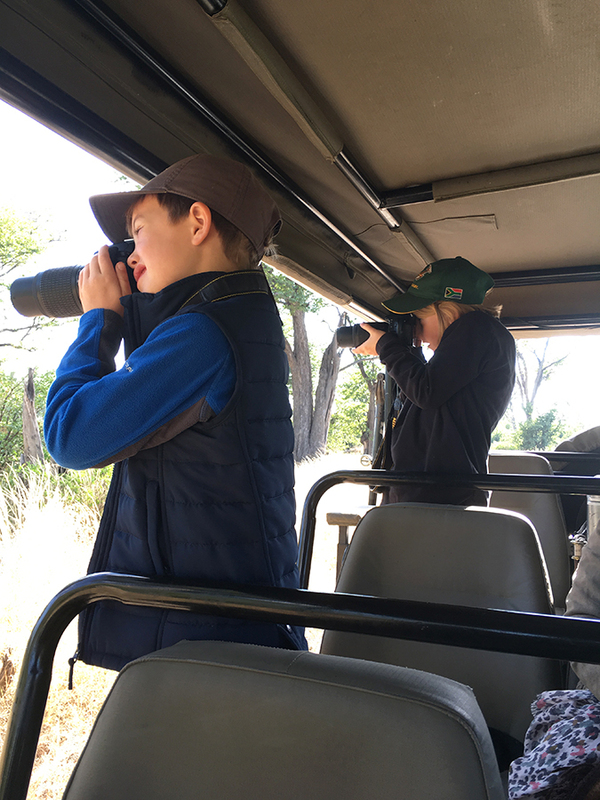 Whether it is our master-chef Gift sharing the secrets of bush muffin-making or guide Alex teaching the skills of tracking or standing judge over the Hyena-call-competition, this is an awesome opportunity to bring all the family together. It’s also a fantastic chance to introduce kids to the natural environment, photography and many other outdoor pursuits. In May we hosted a 150th birthday party with 3 generations of the same family celebrating 40th and 70th birthdays (amongst others) in the bush. What an absolute pleasure to bring the whole family together for the first time in a number of years. The jury is still out on who has the best Hyena call. Safari & Guide Services has been offering tailor made mobile safaris in Botswana for over 30 years. Offering 4 different levels of mobile safaris guarantees the flexibility and quality that is required to create a truly memorable safari experience.